Let's go to MEXICO !!! PeruMotors goes to MEXICO again in February 2020 to avoid the cold winter at home. 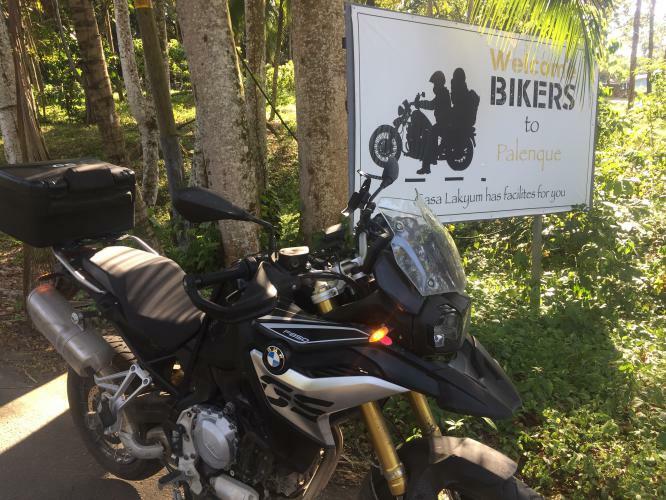 If you are in for a real motorcycle adventure, this is your tour. After the 7 Wonders of Peru, now we visit one of the most famous archeological sites in North America: Chichén Itzá. 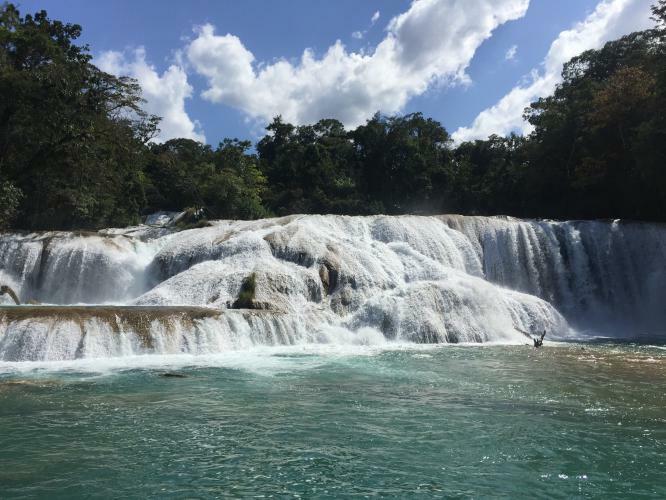 But, Mexico has so much more to offer on cultural and natural beauty. And don't forget the food. That's way more than tacos and burritos alone! You'll be amazed. 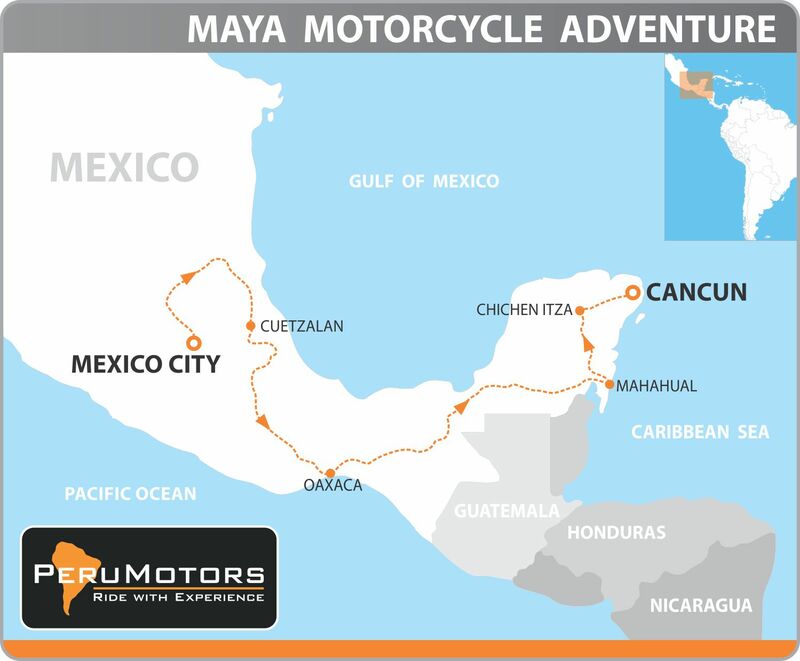 This adventure is an ultimate combination of good riding on spectacular roads throughout Mexico, and visit magnificent old civilizations, like the Aztecs and Mayas. You will stay in nice tourist-class hotels. 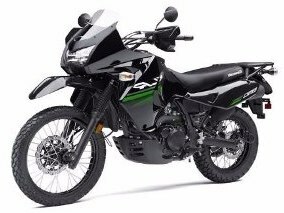 - * On resting-days the motorcycles are not available for riding. - Prices are in US Dollars, per person and based upon a double hotelroom occupancy. - Prices are valid until 31 January 2020. 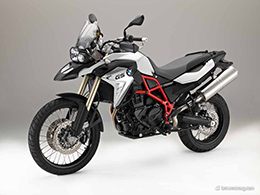 All our motorcycles are insured according to the minimum requirements of the Mexican authorities. This means that the rider, his passenger and third parties are covered for medical (!) costs. 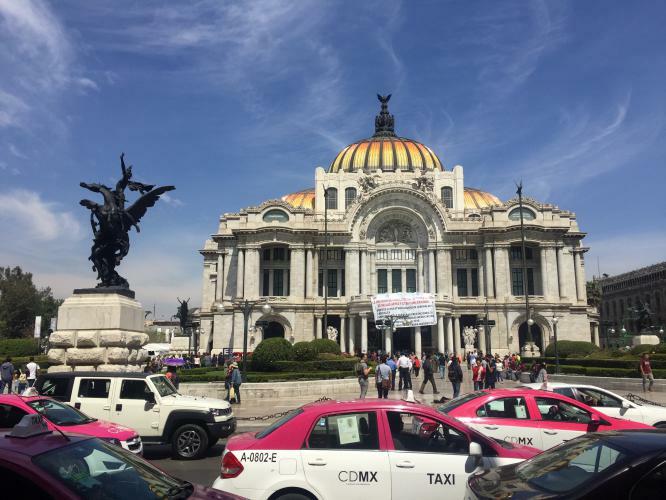 Nevertheless, PeruMotors strongly advise their clients to obtain a health insurance with maximum coverage in Mexico for the length of this tour. 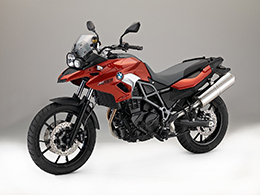 All our motorcycles are standard insured for damage to the rental motorcycle and for property damage to third parties, with an excess/deductible of max. US$ 300.00. This amount must be paid in cash (!) as a "Security Deposit" for the motorcycle. 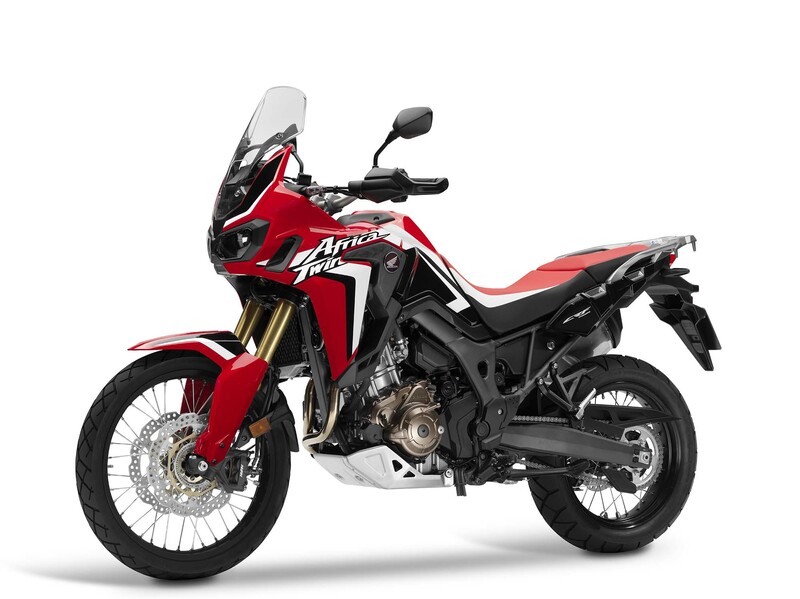 If you surrender the motorcycle after the tour without any damage, the security deposit will be refunded directly to you. 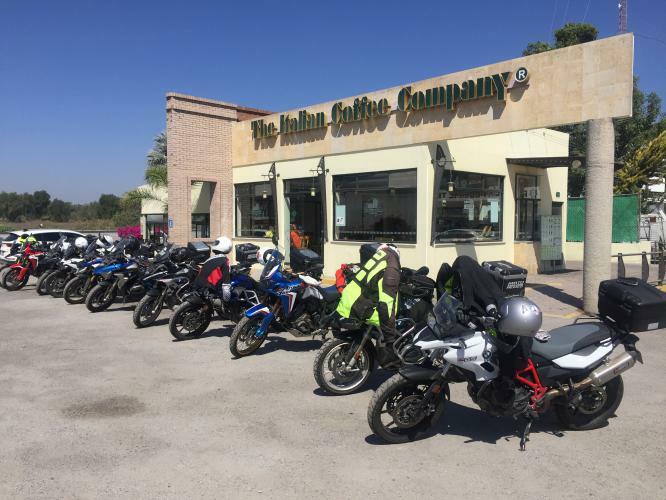 This motorcycle adventure starts with your arrival in Mexico City, the capital of Mexico on high altitude. In the afternoon your tour guide will the briefing for the whole group about the upcoming tour. 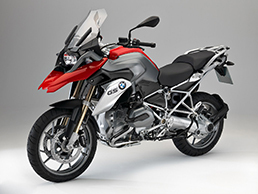 During the briefing you must do the necessary paperwork and pay the "Safety Deposit" for the motorcycle. 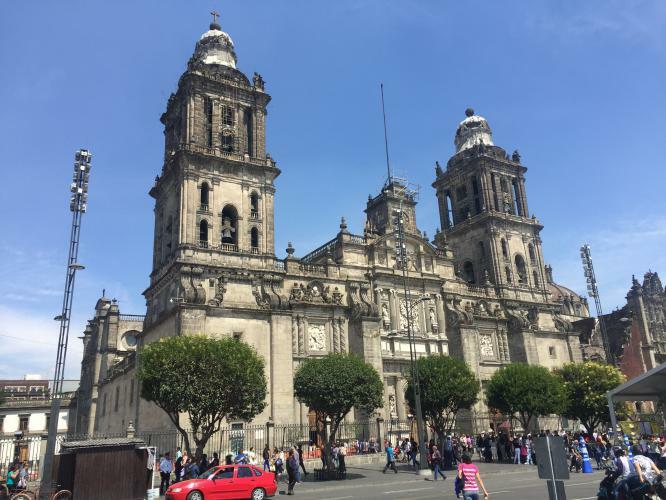 The rest of the day is at leisure in Mexico City, one the largest cities in Latin America. It is finally time to start our motorcycles. We can leave Mexico City easily on the freeway. 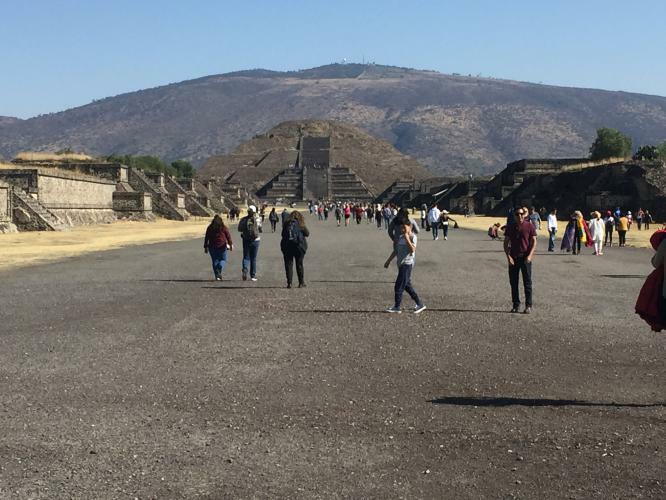 Within 60 kilometers we will visit the first of the many cultural sites on this tour: Teotihuacan. 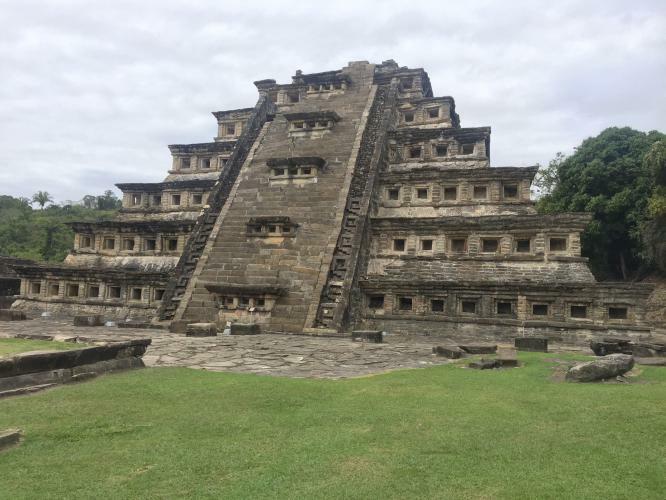 This famous site dates back to 100 A.D., and has massive pyramids. After the pyramids, we will ride the curvy roads to the magic town of Cuetzalan. 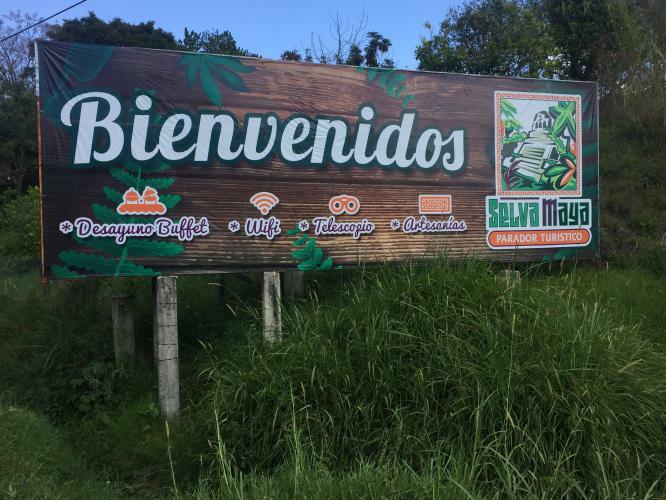 We leave the lovely town of Cuetzalan behind and follow the curvy roads through the Mexican mountains. 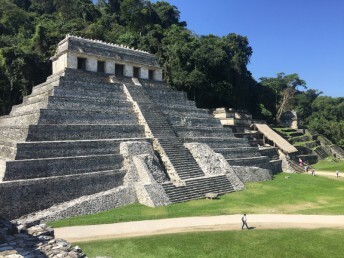 Around noon we visit the very interesting Toltec ruins of El Tajin. 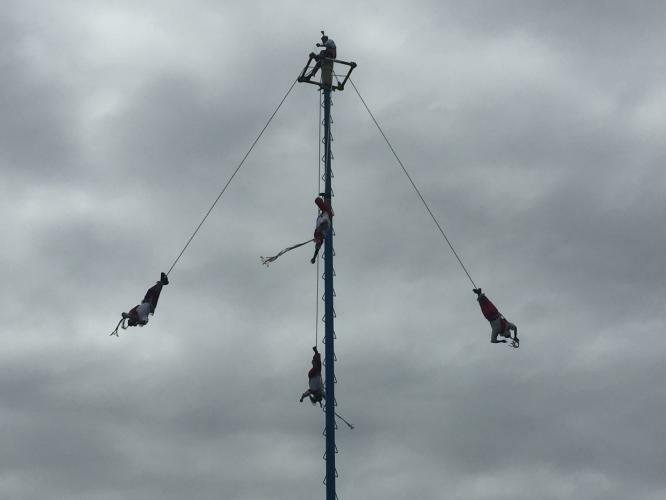 If we are lucky we can see the dangerous performance of the 'Voladores'. After lunch we move on to the coast of the Gulf of Mexico. We stay in a nice hotel on the beach. The first 30 kilometers we follow the coastline southbound. Then we will hit the mountain roads again. 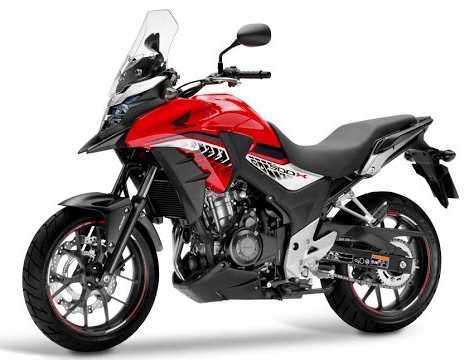 A magnificent ride through volcanic landscapes ! After numerous curves and twisties we reach the town of Orizaba, around the tallest peak in Mexico. We ride over the highlands to the central plains of Oaxaca region, through the dryer lanscape full with cacti. 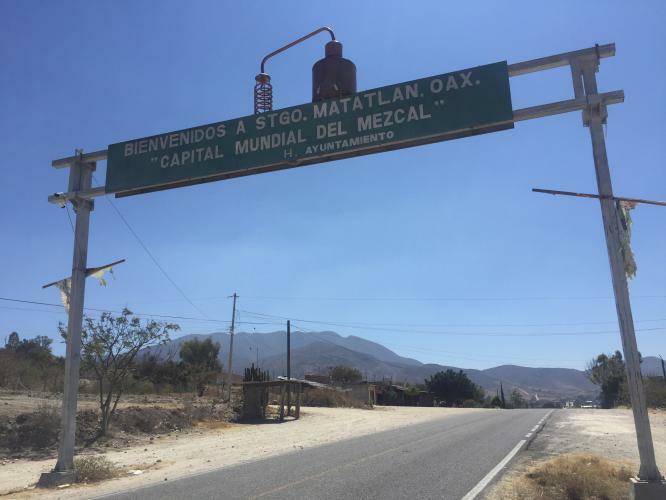 We end up in the city of Oaxaca. The Oaxaca region is world famous for its Mezcal production. This is the Mexican liquor with the worm in the bottle. Enough opportunities in the city to taste the Mezcal. Out of the city, we ride directly to Hierve el Agua. 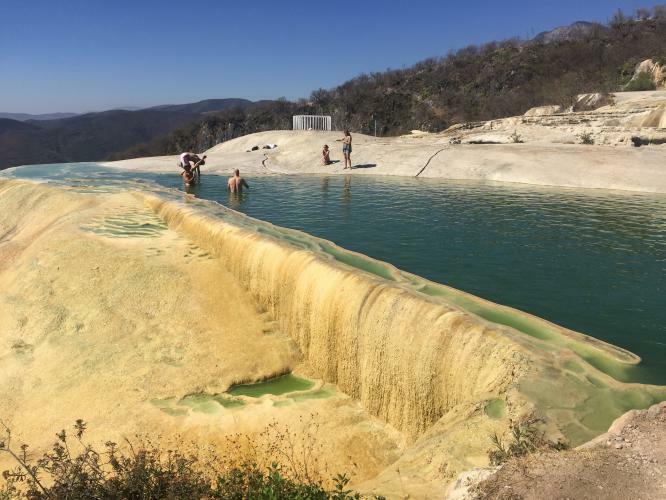 These are natural pools full of minerals, with spectacular views. We have time to swim here. 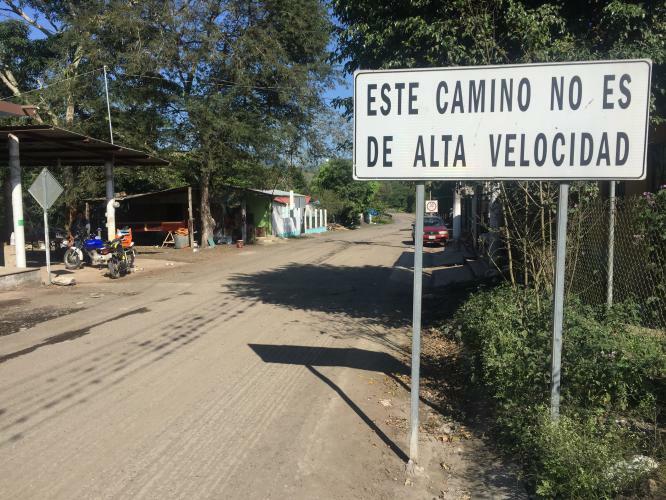 Following the curvy roads all the way to Tehuantepec. 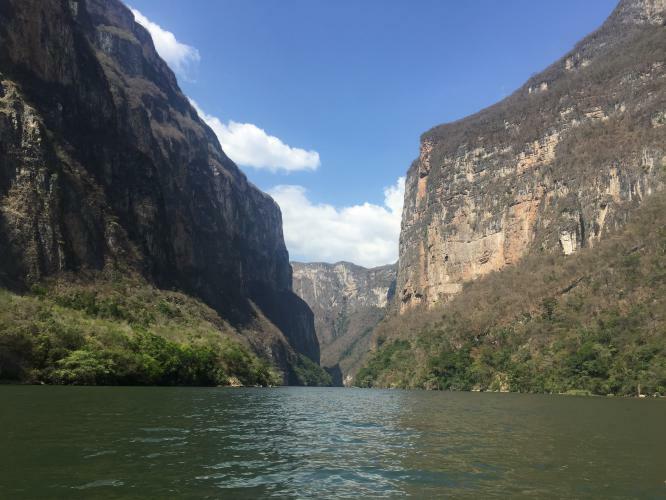 We are on our way to the spectacular El Sumidero Canyon. Around lunch we enjoy a boat ride into the canyon with lots of wild crocodiles. After the canyon it is a short ride to the colourful mountain village of San Cristóbal de las Casas. Another beautiful riding day. 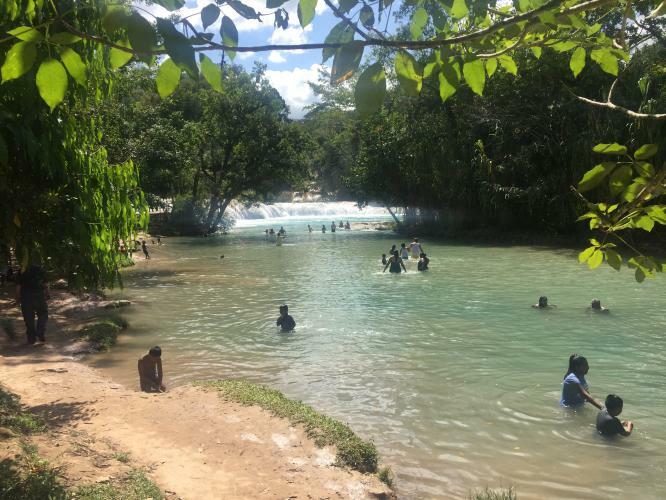 We use the lunch close to the fantastic waterfalls of Agua Azul. Time to swim, because the temperature is tropical. After lunch we end up in a comfortable hotel resort, close to the town of Palenque. Here we stay two nights. 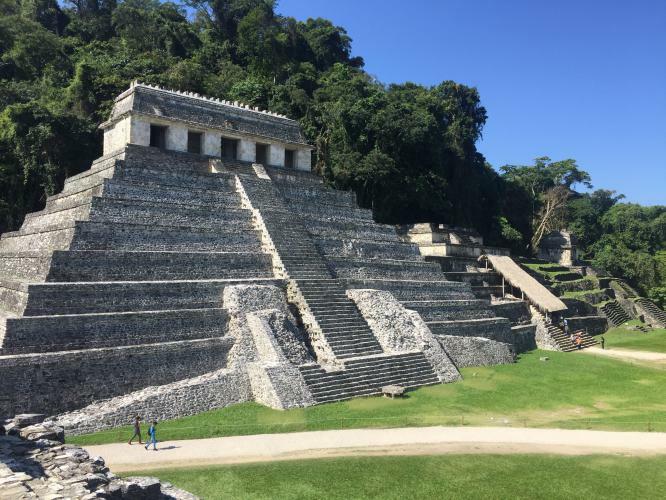 The next morning your guide will take you to the famous ruins of Palenque. After lunch it is time to relax at the pool. The longest riding day of the whole tour. 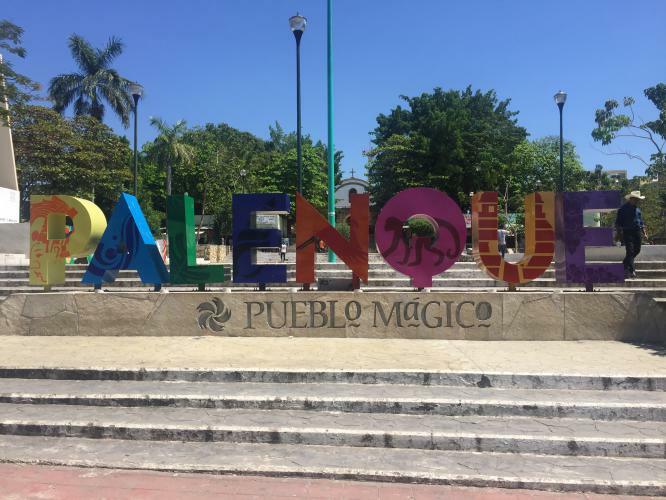 This is a connection day to the Yucatan peninsula. Our hotel is right on the beach. A free day to relax on the beach in picturesque Puerto Mahahual. Nothing else but walking on the beach, swimming, snorkeling and what more. We search for the back roads of the Yucatan peninsula. Lunch in Peto. Just before our destination of the day, we dive into the cenote Yokdzonot. A cenote is a deep natural hole filled with water. We stay the night in a comfortable hotel close to Chitzén Itzá. On our last riding day we visit the absolute cultural highlight of the tour: Chitzén Itzá, one of the new 7 Wonders of the world. Your tour guide takes you to the ruins. After the visit we ride to the coast. If time permits we will visit the ruins of Tulum. Then the last stint to Puerto Morelos. At the hotel we surrender the motorcycles and we eat our farewell dinner in town. Today we arrange your transfer to the airport for your flight back home.